Semper ad coelestia is the motto of Worksop College. And for two of its most famous former students, Joe Root and Samit Patel, it has served them well through their cricketing careers. Translated, the motto means ‘Always To Heaven’, and few can doubt that, for Root in particular, cricketing heaven is where he currently resides as the batsman rated number two in the world and as a player tipped to be a future England captain. His house at the historic college, Portland, had its own motto, Craignez Honte, meaning ‘Fear Disgrace’, so the 25-year-old Yorkshireman would be well advised to take that into his next England assignment when they tackle the ICC Twenty20 World Cup tournament in India, which started this week. In fact, Root, and indeed Nottinghamshire CCC all-rounder Patel, who has also made more than 40 appearances for England on the T20, Test and one-day stage, owe plenty to the independent Worksop College, which has earned a lofty reputation as a nursery for nurturing cricketing talent. Last year, ‘The Cricketer’ magazine even named it in a list of the top 100 schools in the country for the sport. Root, who hails from Dore, originally went to the same school in Sheffield as Olympian Jessica Ennis, but moved to Worksop College as a weekly boarder at the age of 15 after winning a cricket scholarship. He continued his cricketing education by following in the footsteps of England’s Ashes-winning captain, Michael Vaughan, at the Sheffield Collegiate club, who used to have a team in the Mansfield Sunday League. And at the age of 17, he made his second-team debut for Yorkshire, scoring 57 and sharing 133 for the first wicket with another England international-to-be, Adam Lyth. The rest, for Root, is history. He went on to establish himself in Yorkshire’s first-team before making his Test debut against India in 2012. Thirty-eight Tests later, his average is a whopping 55. The 31-year-old Patel spent five seasons playing for Worksop College’s first team, helping them beat top schools such as Repton, Manchester Grammar and Shrewsbury. 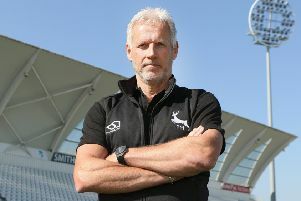 His performances helped him become a regular for England’s U15, U17 and U19 sides and after making his county debut at the age of 16, he forged such an outstanding career at Trent Bridge that he is now regarded as one of the best Notts cricketers of the modern era. Patel and Root weren’t the first college students to make the cricketing grade, however. Remember, Phil Sharpe, batsman and expert slip fielder, who played for Yorkshire and England in the 1960s and 1970s. He’s a Worksop old boy, while Roger Knight, now 69, who played for Gloucestershire, Surrey and Sussex, was headmaster there between 1990 and 1993 before becoming secretary of the MCC. Such cricketing traditions also sit nicely with the ethos of current head, Gavin Horgan, who is keen to ensure that sportsmen and women flourish at Worksop College. “As a man who cannot do a star jump for fearing of falling over, I constantly marvel at the sporting achievements of pupils at the school,” says Mr Horgan on the website of the 458-student college. Maybe bowler Riecko Parker-Cole will be the next success story. He took five wickets for the college against an MCC team last summer and was invited to Lord’s to receive a special award. Semper ad coelestia, Riecko.